A few weeks ago I made a trip back to my hometown of Fort Wayne, Indiana to visit family and go to the Johnny Appleseed Festival. The Johnny Appleseed Festival and Park are so finely interwoven with my childhood that I can hardly imagine one without the other. The park lies on the banks of Saint Joseph River just a couple of miles upstream from where I grew up. 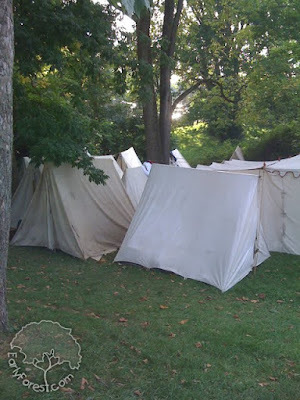 For one weekend each September the park is transformed into an American Frontier Encampment that is reminiscent of the early 1800s. Hundreds of vendors from nearly every State in the country come together to make it the largest festival in Indiana. 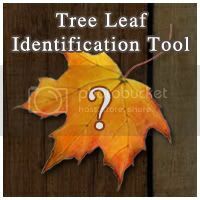 Most Americans have heard of Johnny Appleseed, relating him to American Legends such as Paul Bunyan and John Henry, but what many people may not realize is that he was a real man named John Chapman. John Chapman traveled through much of Ohio, Indiana and Illinois establishing apple tree nurseries. 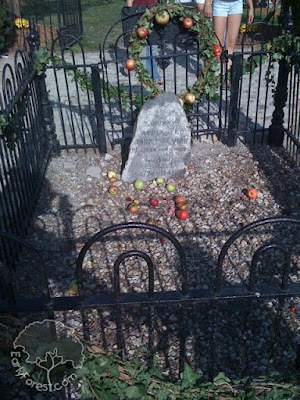 Johnny Appleseed's final resting place is on a hilltop in Johnny Appleseed Park, which was once the Archer family cemetery on the old Archer Farm. 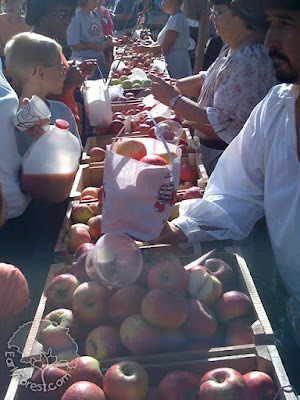 Just down the hill from the grave site, merchants in period clothes serve dozens of varieties of apples to curious customers. 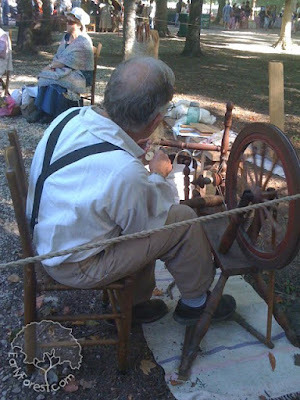 Woodworkers, potters, weavers and a dozen other types of craftsmen sell their goods and put on a show of their work. Campsites dot the landscape where the vendors spend the night on cots in canvas tents. 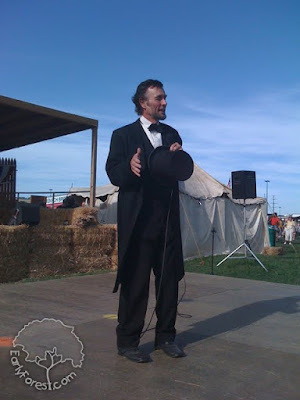 Honest Abe takes the stage to give a speech between musicians and other acts that fill the day with entertainment. Obviously child labor was not a concern in the early 1800s. This boy stirs some beef stew with what appeared to be a wooded oar while 6 adult men (just off camera) stood watching him. If you are looking for cotton candy and funnel cakes I suggest going to the circus. 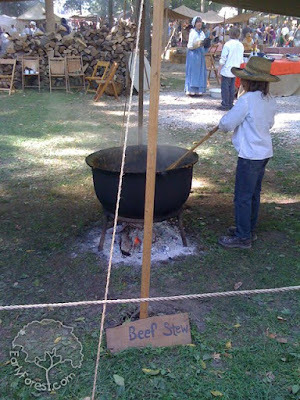 All of the food at the Johnny Appleseed Festival is hand made over a campfire. 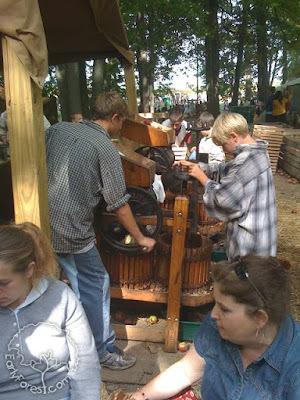 The two boys in the photo above press apples in an old fashioned wooden machine and make hot apple cider. Other vendors sell baked goods, homemade candies, smoked meats, stews, and other treats. To me, nothing quite tops sitting in the grass with a caramel apple and enjoying the sights and sounds of the Johnny Appleseed Festival on a cool Autumn afternoon.